3.1 Why is the General Population so Inactive? 3.2 Is There a Solution? 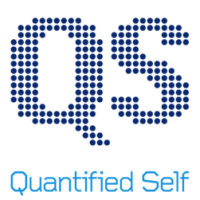 5.1 What devices does quantified self consist of? 6 What type of data can we collect? 7 What does this all Mean? 7.3 What about when the patient is on their own? 7.4.1 What does this all mean for us as physiotherapists? The following resource is designed for Chartered Physiotherapists and Physiotherapy students, with an interest in continual professional development, specifically with regards to the emerging role of the Physiotherapist to the increasing demands of a changing world. The purpose of this physiopedia page is to critically evaluate the current practice of Physiotherapy within the healthcare system with regards to the treatment of physical inactivity related Physiotherapy conditions. The wiki will acknowledge the increasing demands being placed on this area of practice and help to develop the understanding of the reader with respect to the potential solutions to health related behaviour change,with a particular focus on technology. The cost of physical inactivity is placing a significant burden on the health care system. The Department of Health are encouraging the use of self-management techniques to promote long-term behaviour change with the aim to reduce cost. The goal is that people will feel more empowered and independent, thus requiring less involvement with the health care service. Physiotherapists are considered to be in an ideal position to utilise ‘teachable moments’ to encourage such self-management and overall health related behaviour change. It is becoming more and more prevalent for Physiotherapists to have a good understanding of health behaviour change and human behaviour in general. In order to move closer towards optimal patient-centred care, it is important that the consultation experience follows less of a directed approach but rather a more collaborative approach to promoting greater autonomy and empowerment for that individual patient into their future health related lifestyle. Such an approach may incorporate the growing market of quantified self-technologies and online health-related behaviour change tools. Appraise the emerging market of quantified self and how this may assist the Physiotherapist in their emerging role as a health coach. The page can be navigated through easily using the contents page above to follow and work through the different sections. Throughout it will give readers the opportunity to engage with the topics discussed by addressing pertinent questions to ensure effective learning. You will find as you work through the page, being directed to additional links and videos, these are to help you get a grasp with the topic as much as possible. The World Health Organization (WHO) has identified “physical inactivity” as a global epidemic, with the region of the Americas having the highest prevalence of inactivity followed by the Eastern Mediterranean Region . The cost of physical inactivity on the health care system is staggering. 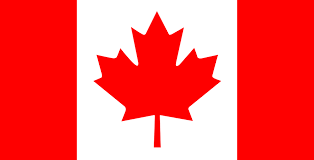 In the United Kingdom, the cost is estimated to be approximately £8.2 billion , whilst in Canada, the cost is approximately $6.8 billion (£3.76 billion) per year . The United States of America spends more than 75% of the $2 trillion (£1.3 trillion) annual health care budget on physical inactivity related hospitalizations. .
One of the reasons for the high health care costs is the link between physical inactivity and several Non-Communicable Diseases (NCDs), such as cardiovascular diseases (CVDs), chronic respiratory diseases, cancer, and type two diabetes . Physical inactivity is the fourth leading risk factor for global mortality, contributing to approximately 3.2 million deaths annually worldwide . More than 50 years of statistical research confirms the relationship between physical activity and mortality, with reports suggesting that at least 80% of premature CVD and 40% of cancer deaths could have been prevented through regular physical activity . After reading “The impact of Chronic Disease in the United Kingdom” fact sheet, can you estimate the cost saving over the next 10 years if a 2% annual reduction in chronic disease related deaths were to occur? Why is the General Population so Inactive? 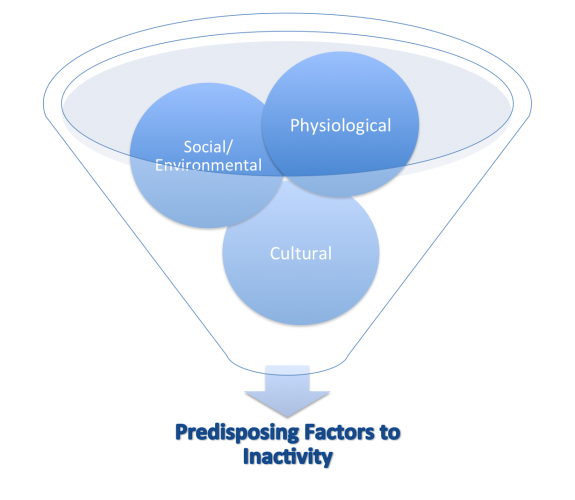 Sedentary behaviour is woven into society According to the WHO, there are several reasons for the worldwide physical inactivity epidemic in the regions of the Americas, including increased workplace and leisure-time sedentary behaviour. 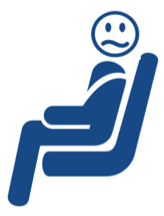 The increased sedentary lifestyle has been shown to predispose individuals to pain, disabling conditions, and musculoskeletal complaints. In the workplace, this may lead to injury, varying degrees of disability, absenteeism, reduced overall job performance, or other undesirable outcomes (Pronk & Kottke, 2009). These consequences of physical inactivity may contribute to absence due to sickness in the UK, which accounts for 3–4% of average working time and costs employers £9 billion each year and a further £20 billion to the UK economy (Chartered Institute of Personal Development, 2010). Also, the increase in urbanization has led to several environmental factors that discourage physical activity. These factors include increased traffic, increased pollution, and decreased access to parks and recreation facilities . In order to combat this growing epidemic at a Global level, the WHO has developed the Global Recommendations on Physical Activity for Health guidelines. The Global Recommendations on Physical Activity for Health guidelines help educate people regarding the minimum amount of physical activity required to receive the benefit of a decreased risk of NCD  . There are three age categories, which are grouped according to the relevant scientific evidence regarding the prevention of NCD through physical activity  . The age groups are as follows: 5–17 years old, 18–64 years old, and 65 years old and above. Several countries have adapted the Global Recommendations on Physical Activity for Health guidelines. These physical activity guidelines can assist physiotherapists in their treatment of NCD conditions related to physical inactivity through education and promotion of physical activity self-management. It appears that traditional treatment strategies, such as diet, exercise, pharmacology, and behavioural therapy, are not consistently effective . The Department of Health (2012) are encouraging the use of “self-management” techniques to promote long-term behaviour change with the aim to reduce cost. The goal is that people will feel “empowered” and “independent,” thus requiring less involvement with the health care service. It is the response of the system or organism to various stimuli or inputs, whether..
Learning is the act of acquiring new, or modifying and reinforcing, existing knowledge, behaviours, skills, values, or preferences and may involve synthesizing different types of information. Non-associative learning refers to a relatively permanent change in the strength of response to a single stimulus due to repeated exposure to that stimulus. Habituation is a form of learning in which an organism decreases or ceases to respond to a stimulus after repeated presentations. E.g. feeling nervous/excited when you begin exercising but after a while you are unfazed by going. Sensitisation is an example of non-associative learning in which the progressive amplification of a response follows repeated administrations of a stimulus. E.g. increased sensitivity due to a history of chronic pain when attempting to exercise. Associative learning is the process by which an association between two stimuli or a behaviour and a stimulus is learned. Involves repeatedly pairing an unconditioned stimulus (which unfailingly evokes a reflexive response) with another previously neutral stimulus (which does not normally evoke the response). Following conditioning, the response occurs both to the unconditioned stimulus and to the other, unrelated stimulus (now referred to as the "conditioned stimulus"
Behavioural change theories are attempts to explain why behaviours change. These theories cite environmental, personal, and behavioural characteristics as the major factors in behavioural determination. Each behavioural change theory or model focuses on different factors in attempting to explain behavioural change. 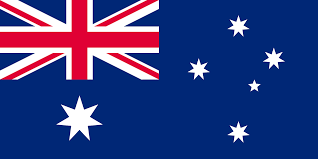 States that attitude toward behaviour, subjective norms, and perceived behavioural control, together shape an individual's behavioural intentions and behaviours . Pick 1 or 2 of the behaviour change models highlighted above, and use the links provided to find out more information about these. What existing knowledge regarding these models have you got and do you consider these types of approaches to changing the health behaviours of your patients? Self-efficacy affects every area of human endeavour. By determining the beliefs a person holds regarding his or her power to affect situations, it strongly influences both the power a person actually has to face challenges competently and the choices a person is most likely to make. These effects are particularly apparent, and compelling, with regard to behaviours affecting health . A habit is a routine of behaviour that is repeated regularly and tends to occur unconsciously. The process by which new behaviours become automatic is habit formation. Old habits are hard to break and new habits are hard to form because the behavioural patterns we repeat are imprinted in our neural pathways, but it is possible to form new habits through repetition. Actions to bring about behaviour change may be delivered at individual, household, community or population levels using a variety of means or techniques. Significant events or transition points in people's lives present an important opportunity for intervening at some or all of the levels, because it is then that people often review their own behaviour and contact services. The health promoting health service approach has developed the concept that ‘Every healthcare contact is a health improvement opportunity’. This is reinforced in the National Delivery Plan for the Allied Health Professions [AHPs] in Scotland, 2012-2015. However it could strongly be argued that Physiotherapists don’t have the adequate resources or training to tackle health behaviour change effectively . The Scottish Government has dedicated £6 million over the past three years to the Long Term Conditions Alliance Scotland in their promotion of self-management. The document “Gaun Yersel” was developed in alliance with patients and outlines the responsibilities and commitments of the government in combination with their 2020 Vision whereby individuals and communities aim to achieve social change. Swan 2012 highlights the paradigm shift in health care from the concept that the patient’s health is the responsibility of the health care professional to ‘My health is my responsibility, and I have the tools to manage it’ . The NHS must continue to make the transition from a ‘sickness’ service to a ‘well-being’ service. Lorig et al (2003). explain that “wellness” from self-management requires attention in three key domains: the medical, behavioural, and emotional elements of a person’s life. They recognise that physiotherapists do not have extensive training in each domain, but they stress that physiotherapists’ expertise in exercise therapy, pain management, and healthy lifestyles promotion enables the profession to play a key role in supported self-management. Concerns have been raised over the effectiveness of self-management and its ability to reduce pain and disability, or increase inactivity. 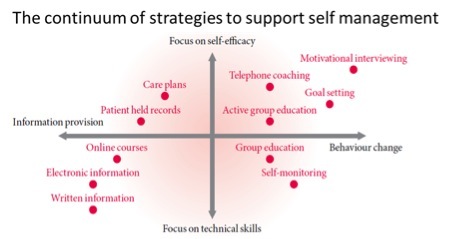 Crowe (2010) echoes the point that, despite the current emphasis on self-management, there is minimal evidence to suggest which strategies are actually affective. It has been argued that long-term behavioural change is difficult to sustain without the input of a health care professional . Oliveira discovered that many studies did not conform to a self-management definition, and there are varying approaches being used to promote self-management by health care professionals. The Chartered Society of Physiotherapy recently estimated that 50% of patients suffering a chronic condition ignore professional healthcare advice (2014); therefore, it is important to consider the patient’s expectations of self-management and the support they receive from their health care professional (HCP) . Undoubtedly, self-management will be more effective with some patients than others. It is important to recognise that further research is required to determine which aspects of self-management are beneficial or non-beneficial, as well as how HCPs should encourage and promote its use to best effect. Support received from family and friends increases compliance and motivation. A key component for the success of self-management appears to be the level of support a patient receives from an appropriate HCP, such as a physiotherapist. The Cooper et al (2009) paper identified that patients want direct access to their physiotherapist for follow-up advice and reassurance. This could take the form of a review visit, telephone call, or even an email. SSM is a vital component that cannot be ignored in the quest for cost reduction. Further research is required to better understand this relatively new approach to patient management. The core components of SSM need to be established, and support into the mental well-being of a patient is essential when delivering a biopsychosocial approach to SSM. The Internet is increasingly being used to provide interventions, information, and guidance on health-related behaviour change. A recent survey reported that of the 74% of American adults who use the Internet, 80% have used it to ﬁnd health information. Social networks in health and other types of social media provide people with new opportunities to share health information easily. With the prediction that 3 out of 4 mobile phone users in the UK will own a smartphone by 2016, it is important to recognise that the use of smartphone apps in conjunction with physiotherapy support may be used as a self-management tool to promote and enhance behaviour change. List 3 main predictors that determine a patients compliance with the self-management approach? Reflect on your current practice, do you consider yourself to use a “biopsychosocial” approach with patients? Once a person has accepted that he or she has a lifestyle problem, a key element of self-management is the motivation to change behaviour. It is important to note that, if people are in denial about their inactivity levels, it will have a detrimental impact on their engagement with self-management treatment options . Motivational interviewing can be used by therapists in a person-centered collaboration with the patient which addresses the person’s fears, anxieties or ambivalence towards change, helping to weight the “pros and cons” of change . The Motivational Interviewing Network of Trainers encourage the use of exploring a person’s need to change in an “atmosphere of acceptance and compassion . The following clip illustrates the use of motivational interviewing via MINT. What changes would you most like to talk about? What have you noticed about . . .? How important is it for you to change . . .? How confident do you feel about changing . . .? How do you see the benefits of . . .? How do you see the drawback of . . .? What will make the most sense to you? How might things be different if you . . .? In what way . . .? The supported self-management approach is a collaboration between the physiotherapist and the individual in which the physiotherapist assists the person to make educated and informed decisions about their own goals and expectations for the future . Consider 3 alternative “open-ended” questions you may adopt in your collaboration with a patient as a physiotherapy health coach? There is much evidence available for the use of goal setting when attempting to change behaviours. One popular model of goal setting is SMART. Harding (2000) suggests that patients should be encouraged, in conjunction with their therapist, to set individual and personalised goals. It is important to set targets at a manageable baseline to achieve something previously feared, which can then be recognised as an achievement. “The quantified-self movement exposes the motivational effect on health behavioural change of quantitative measurement and analysis of personal health parameters. “ . Technologies have become increasingly popular within the general population as self-tracking strategies, while health care professionals are eager to embrace the opportunities they perceive through using what has been dubbed ‘mhealth’ to promote the public’s health . This electronic monitoring of human health behaviour is fast becoming an area of increasing research with a focus on ‘sensor fusion’ using single systems or devices . Utilising wearable systems for continuous monitoring is the key stone of the Quantified Self movement which aims to give a more accurate measure of human motion during day-to-day life . These innovations are emerging for managing healthcare to revolutionize involvement of the healthcare professional and could increase the autonomy and patient involvement in terms of their health  and hold potential to significantly benefit society . A recent article in the Telegraph by the Health Minister Dr. Dan Poulter discusses how technology is driving improvement in personalised healthcare. A recent study by Vuori and colleagues (2013) remarked that the attitudes of physiotherapists for advising physical activity were amongst the most positive, and we have a key role to play in aiding behavior change to promote healthier lifestyles. As well as facilitating physiotherapists to take on the role as a lifestyle coach, these technologies can aid with monitoring chronically ill patients to reduce re-hospitalisation . Appelboom and colleagues (2014c) refers to it as ‘Quantifying self hybrid models’ which essentially combine patient reported outcomes and tele-monitoring, i.e. integration of passive data collection and patients actively reporting, to reduce the subjective unreliance. Lupton (2013b) refers to it as ‘digitized health promotion’ and that these digital health technologies are advocated for drawing a renewed focus on personal responsibility for health . ‘What gets measure gets managed’ – Peter Drucker – Management Consultant and Presidential Medal of Freedom, 2002. In line with the behaviour change models, once the patient adopts the appropriate technologies to engage in self-monitoring and self-care health can become more self-manageable . However, survey research has reported that many health professionals are not themselves using mhealth in their professional practice to any great extent as yet, due to lack of knowledge about how best to do so or concern about having to learn about using new technologies . This may be because little or no information is available to substantiate the validity of these consumer based activity monitors. Thus it is important to evaluate these devices so individuals and us as physiotherapists can make informed decisions . 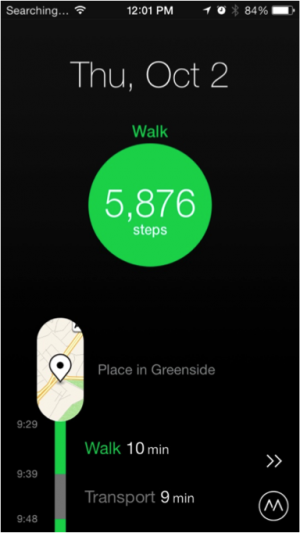 What type of data can we collect using quantified self devices? 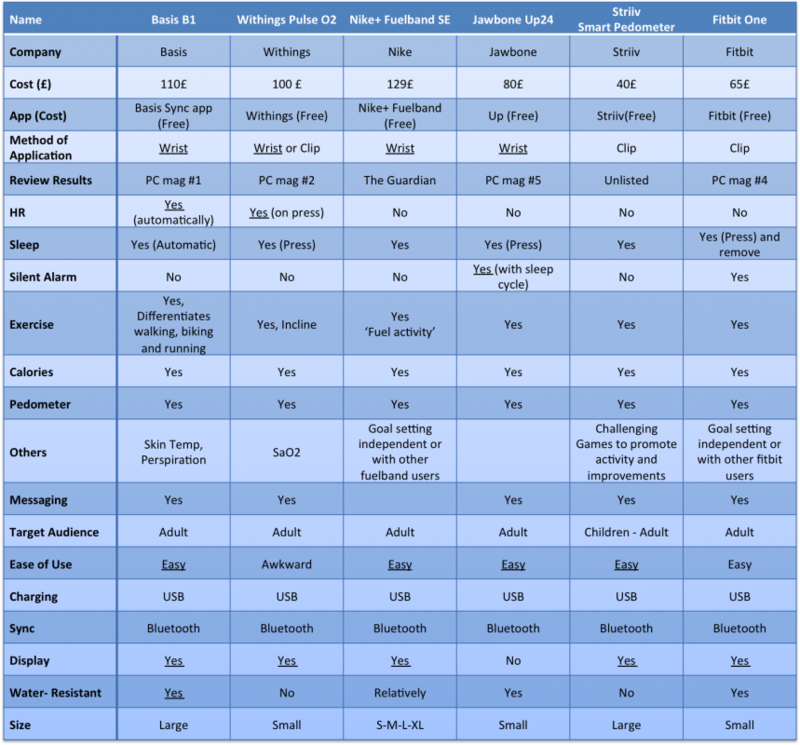 What devices does quantified self consist of? Numerous wearable bracelets tracking activity levels and sleep are available on the market as outlined above. Biosensor tattoo are now available which can monitor your hormone levels. Peter Drucker (2002) highlights that attempts are being made to standardize the mhealth data, with the ideal being that with a basic set of guidelines these wearable technologies information can inform healthcare. 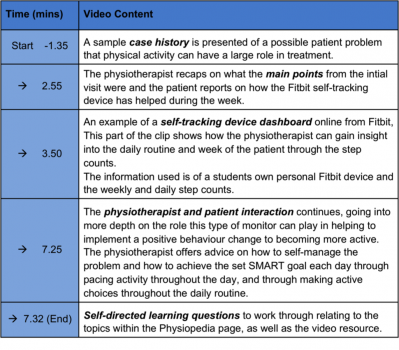 Self-tracking encourages individuals to think about their activity levels in the hopes of changing their behaviour (Lupton 2013) and physiotherapists play a key role in guiding behaviour change for healthy living . Lyons and colleagues (2014) provides a very comprehensive guide of behaviour change techniques associated with physical activity change implemented in self-tracking devices. In this recent analysis of these devices, it was found that the most common techniques employed as part of the system, were self-monitoring of behaviour, feedback, behavioural goal-setting and highlighting discrepancies between current and goal behaviour . The Fitbit one is a triaxial, accelerometry-based device that can measure steps taken, floors climbed, distance traveled, calories burned, and sleep quality. The device has many advantages which include, being a small, compact, lightweight, easy-to-use device with a 5-10 day battery life and an internal memory store of up to 23 days . The device also boasts a wireless function whereby data can be automatically synced to a computer or the app for quick analysis and tracking purposes. The figures below shows examples of a 7 day fitbit dashboard view and a daily view of step count . Some activity monitors do not measure slower walking speeds accurately . However as determined by Ryan et al. (2006) the activPAL’s accuracy is not influenced by walking speed and similarly Takacs et al. (2013) aimed to determine the validity and reliability of the Fitbit one in a population of healthy individuals at different walking speeds, as patients with neurological or musculoskeletal impairment may walk at slower speeds than healthy individuals . An inaccurate measure of activity level may have an adverse affect on health status and adherence to an exercise programme. The research findings showed that the fitbit output count and the observer count at the varying speeds were matched and the inter device reliability was high at all walking speeds with percent relative error being less than 3%. These results show promise for the use of fitbit one in measuring physical activity in people with walking impairment. Recently, Lee and colleagues (2014) examined the validity of energy expenditure estimates from a number of consumer based physical activity monitors under free living conditions . Fitbit (One and Zip) were included within the study as were the Jawbone Up, bodyMedia FIT armband, directLife monitor, ActiGraph, and Basis B1 Band monitor. 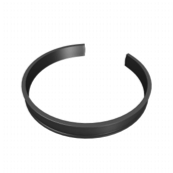 The correlation coefficients were investigated for these monitors, with significant findings for the Fitbit monitors, showing a strong relationship between both indirect calorimetry (Fitbit one r = .81 and Fitbit zip r = .81) and also between the Fitbits and bodymedia FIT armband (r = 0.90). Conclusion of the research showed promising preliminary findings for the Fitbit, the Zip in particular. However it is also important to note that all of the devices used in the study show decent potential as there results were as good as, if not greater than the Actigraph. Lyons et al. 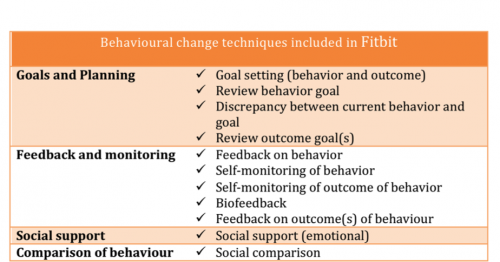 (2014) recently conducted an analysis of activity monitors as behavior change tools, one of the included tools was the Fitbit and it was found to be one of the activity monitors which encompasses a good range of behavior change techniques (see figure 2). As physiotherapists setting SMART goals with our patients is important for effective interventions. Tudor-Locke et al. (2011) noted that the default activity goals for some of these monitors may be inappropriate for individuals with disabilities or chronic conditions, older adults or children and thus it is our responsibility to set realistic short and long term goals for our patients with the help of these activity monitors to observe their progress. The publication of Dowd et al. (2012) found strong support for the criterion and concurrent validity of the tool for measuring both physical activity and sedentary behaviours in adolescent females . A strong and positive relationship (r=0.96, p<0.01) between the count function of the and that of the Actigraph was established. This journal showed promise of this device within a key population of low activity levels whilst also highlighting support for the device to accurately distinguish between the 3 classes of activity. Similarly Bassett et al. (2014) validated the ActivPAL’s detection of positional changes using direct observation as the validation criterion, finding that excellent agreement existed between the two methods for lying down (correctly classified 100% of the time), standing/light activity (90.8%), and stepping (100%). Aphrodite et al. (2009) undertook research to provide evidence for the validity and reliability of the within a health promotion context to use it to identify differences in daily activity levels of physiotherapists and non-health related professionals. Initially, in evaluating validity and test-retest reliability, the gave almost identical measures with the true values and the measures obtained showed little variation within the fifteen recordings of the set repeated activities. The resulting findings show promise in measuring physical activity levels in healthy individuals and also added knowledge to the levels of activity engage by physiotherapists in comparison to non-health related professionals . Is it valid and reliable in various populations? Davies et al. (2012) showed acceptable validity, practical utility and reliability in pre-school children, measuring posture and normal activities . The central tendency measures used were the median for sensitivity to measure sit and lie with a value of 92.8% (interquartile range 76.1%-97.4%) and positive predictive value of 97% (91.5%- 99.1%). These results further add to the support for its usefulness in a young population, while also reflecting similar results found in an adult population by Grant et al. (2006) . The interdevice reliability was found to be 0.79 for walking and the sit-to-stand transition analysis was found to be identical between the observer and the monitor for all tests conducted . O’Donoghue and Kennedy (2014) found promising support for the use of the amongst people with cerebral palsy, as for these individuals the noted larger variability in gait and increased postural sway in standing may have impacted on the reliability of the monitor to accurately measure activity . However, perfect agreement for transitions and high agreement for sitting (mean differences -1.8 and -1.8s), standing (0.8 and 0.1s), walking (1 and 1.1s), with a lower agreement for step count (4.1 and 2.8 steps) were found. It was highlighted here that the discrepancies in step count may be due to methodological difference, the measures steps taken by the leg it is worn on and not total steps taken compared to observers, perhaps underestimating step count for this population, particularly if worn on the affected leg. However the results of the study suggest that a good level of agreement exists between and direct observation for this population and should be replicated in free-living environments to fully determine its usefulness for this population and to allow for clinical decisions to be made. Currently the activPAL is being used by a Phd Physiotherapy student in Queen Margaret University, Edinburgh to investigate and compare the activity levels of healthy participants aged 16-25 and individuals with Cerebral Palsy, in an effort to identify reliable physical function outcome measures. Fritz and colleagues (2014) believe this technology has the ability to persuade and motivate people and undertook a study to determine user’s attitudes towards long term use of activity sensing devices for fitness. The authors were aware that not all people who purchase devices such as, Nike fuelband and fitbit etc use them long term, however the aim of the study was to interact with people who have incorporated these devices into their daily routine with the view to understanding long term effects these devices may have . According to Schull et al (2014) this long term monitoring is at the heart of the quantified-self movement as it can give an accurate understanding of human motion realities, which cannot be achieved during laboratory testing . Highlighted above are some of the quotes taken from Fritz et al. (2014) from current users of self-tracking devices and the time frame for which they have been using them. In consideration of one of the health behaviour change models you choose previously, do these individuals appear to match with the time frames as suggested? The IMS Institute for healthcare informatics (2013) through their publication, 'Patient Apps for Improved Healthcare', have outlined a detailed breakdown of current health apps available. There are apps available that cover the full patient journey, with healthy living apps accounting for the majority of apps consumed at the moment, as evident from the below figure. Also the NHS have a list of apps that they have reviewed and has been deemed as safe to use in the health app library. Although some apps are either therapy area specific or demographic specific there are still areas in the app market that needs to be filled. Currently, the NHS has started using smartphones and apps to help engage the public. Such as with the NHS Health and Symptom Checker, which allows users to to check their symptoms, get an assessment and information on their condition, and be given advice how to get better. Also another interesting point to note is that the NHS has a goal of becoming completely paperless by 2018. To obtain this goal they have released dashboards and apps such as Kitemark. 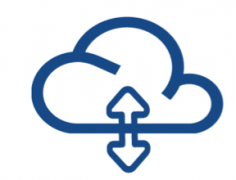 Kitemark is in a long line of apps to give patients access to their own medical records. Kitemark allows new parents access to their child's medical records to increase efficiency and ease parents worries. Fanning et al. (2012) suggests that utilizing mobile devices and smartphone apps without the addition of a wearable device, may also be an effective platform to influence physical inactivity behaviours. Particularly the unique and advantageous features of mobile technology owe to their popularity and widespread native ‘apps’, with continuous development growth since 2008. However, no set or standardized app currently exists for healthcare professionals to advise for their patients. In this recent meta-analysis, the studies included aimed to influence physical activity through the use of data collection by the mobile device and varied from good to fair quality. Fanning and colleagues (2012) concluded that it can be an effective tool for increasing physical activity once theoretically grounded behavior change interventions recognize and use the potential of mobile technology. 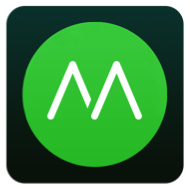 Some of the current applications which measure an individuals activity by step count include ‘Moves’ and the ‘Walkmeter’, for example. 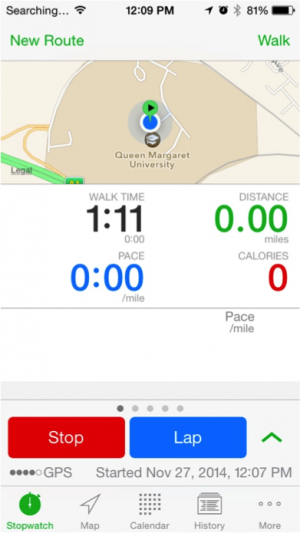 In an effort to seek a standardized mobile app that can advised to both physiotherapists and patients alike to use and implement in practice, a dissertation is currently being undertaken in Queen Margaret University Edinburgh, with the aim to validate an app that can be used on multiple platforms for this purpose. What type of data can we collect? Big data = aggregate information on many people to yield population insights. For example if the NHS were to coagulate data from a variety of people attempting to change their physical activity levels, this may help practitioners to facilitate other people’s behaviour change efforts more efficiently. Personal data = best use is for implementing valid behaviour change modalities i.e. self-experimentation. The implementation of a smart health paradigm and then an awareness as to whether you are doing it and whether you are achieving your goals. Pursuing a healthy lifestyle has and always will require personal effort. However unlike the past being healthy requires a deliberate effort, which means intelligent choices, must be made on a day to day basis. But we can’t simply hand patients a device and expect that to do the trick. In order to succeed in a sustainable long lasting change, there must be some personal intention and value empowered by the individual into the device and tools which they use to achieve their goal. Being in a position of authority, Physiotherapists are empowered to assist patients to attribute value and in turn empower the devices and tools recommended to the patients and thus significantly affect behaviour change . Although currently dominating the market for self-tracking devices are the fitness-minded and tech-savvy individuals, it is apparent that there is increasing interest in expanding the use of outpatient monitoring as a strategy to improve healthcare delivery . The drive towards this emerging technology trend for health promotion highlights the need for health professionals to embrace their use for helping patients to implement health behaviour change. They can provide a platform for the delivery of self management interventions that are highly customisable, low-cost and easily accessible. With reports on mhealth technologies being frequent within both the media and medical health literature due to the popularity of devices and related apps within the public . For example, the Apple App Store alone offers over 13,000 health-related apps , with estimations in 2012, of 44 million downloads worldwide for these apps . It is projected that by 2018, 485 million wearable devices will be sold annually (Drucker 2007). Furthermore a 2012 survey in the US of 3,000 adults, indicated that 85% owned a mobile phone, 53% were smartphones, 19% of people surveyed downloaded an app for health management. This emphasizes the emerging growth of mobile technologies as well as the use of smartphones for health and wellness . A major advantage with mhealth allows the health professional to monitor the patient during ADL’s and in a home environment. Frequently, problems faced by physiotherapists for patients with chronic diseases is measuring gains and losses in daily functioning over time, with the use of these sensor technologies for activity monitoring, it becomes possible to assess the effects of timing and dose of medication on physical functioning, addressing the level of activity gained throughout the day and maintenance of ADL’s, assess compliance with goals and instructions for exercise and skills practice and update instructions more frequently than an office visit. The growth in uptake of these wearable fitness technologies provide an aid for health professionals to empower the patient in taking an active role in their health . In the past industries harped on understanding consumers and measuring their behaviour — today, consumers themselves are tracking and generating enormous amounts of data. There are numerous examples in the literature illustrating the success of wearable technologies and online tools in increasing physical activity levels. However simply tracking an activity is not enough. Neither knowledge nor tracking alone immunizes you from an unhealthy lifestyle. The value of these devices crucially depend on the sophistication of the system it integrates with, which is highly dependent on the health knowledge of the system designer and the ability of that knowledge to translate through the system . QS has enormous potential to help us be healthy and we’re just at the beginning stages of its ability to create meaningful change for individuals and populations. What about when the patient is on their own? When patients are on their own it is important that they are provided by the Physiotherapist with the tools necessary to not only track their efforts but also to interpret this data in a meaningful way. Therefore the tool in question must be designed specifically to include a depth of theory which may facilitate behaviour change. Online tools and devices have been found to be an effective means of increasing physical activity levels, however there is a need for more intensive theory-based interventions that incorporate multiple behaviour change techniques and modes of delivery. Without such interventions certain products have been found to be significantly less effective after 6 months . The value of these devices crucially depend on the sophistication of the system it integrates with, which is highly dependent on the health knowledge of the system designer and the ability of that knowledge to translate through the system. 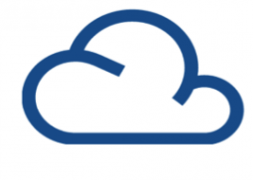 Human OS is an online tool which aims to support the daily health practice of its users. Multiple behavioral influences - like persuasion, social dynamics, feedback loops, triggers - are utilized in a system aimed to simplify a person's daily health practice. For example, having a daily workout sent to a patient lowers the burden on an individual to have to come up with a workout idea on their own, it primes the activity, and when entered in the tracker system, gives that patient and the Physiotherapist feedback as to how their current physical activity level compares to their exercise recommendations. As addressed by Rutherford (2010), the most challenging obstacle facing the widespread application of these wearable technologies is whether the patients and health-care systems will adopt them. Patients may be resistive and uncomfortable with it due to wearability, security and a general dislike towards technological solutions. Certainly there are certain populations it may appeal to most, however it is important to consider that the drive towards this method is an individualised approach and therefore will be such on a case-to-case basis. Crawford (2006) introduced the belief that healthism can control the fate of an individual, by that particular individual taking ownership and responsibility for their own health. Healthism attributes good health, to an individuals ability to direct everyday activities and thoughts to reaching an optimum goal and being able to maintain it over time . In line with self-efficacy, if a patient does not have an inner belief that he/she cannot achieve a healthy lifestyle/ behavioural change, the ability of the self tracking device as a tool to aid the change is greatly diminished and vice versa. The cost attributed to some of these self tracking devices may be also seem as a limitation of their use, although research suggests that up to 50% of health apps are available for free download. Lupton (2013a) conveys that healthism tends to only be a priority for socially economically privileged people who have both the education and resources to do so . Ho (2013) suggests that health professionals are unfamiliar with popular apps regarding their benefits and usage making it impossible for them to support patients in self- management or keep track of a patient’s progress . In order to overcome this challenge, both clinicians and patients alike must become engaged in educating themselves about app availability. This can aid in overcoming the following challenge also. The fact that patients have to skim through a vast amount of apps with little guidance about which apps perform best and which apps are best suited to their situation (IMS Institute for healthcare informatics 2013). However, this challenge has started to be met already with the introduction of the NHS app library in the UK and US HealthTap have also created an app called AppRX, which allows 40,000 physicians to evaluate health and medical apps. This gives the potential user a professional recommendation prior to downloading an app (IMS Institute for healthcare informatics 2013). What does this all mean for us as physiotherapists? In our recognition of the health service’s transition from a ‘sickness’ service to a ‘well-being’ service, physiotherapists, along with other Allied Health Professionals have been highlighted as ‘agents of change’ in helping this to occur which includes facilitating self-management and promoting healthier lifestyles . Embracing these self-tracking devices and incorporating them as an aid for practice is in its infancy, however, it remains beneficial to be aware of the type of technology available that can aid to implement a behavior change in your patients. Pertola (2013) noted that an overwhleming amount of applications subscribed to QS have yet to make the leap from simply collecting data and presenting it to the individual, to using and integrating it in a way that assigns meaningful information to prompt emotional engagement and encourges user interaction to seek personal gain. As in the figure below, if individuals come to you looking for advice on what device to use or if they already have a device and they need you to help make the results meaningful an awareness of mhealth can enhance your role (Institute for healthcare informatics 2013). Patients and health professional’s should choose an appropriate app, together during a consultation to achieve an optimum health outcome . The common ideal for these is the ‘10,000 steps’ a day , however these devices goals can be altered depending on the individual requirements. Setting realistic goals with your parents in the SMART format will benefit them and make quantifying themselves more understandable. If physiotherapists can encourage their patients to view their bodies through meaningful numbers via self tracking devices, the patients may have a worthy goal to achieve a health change . These mobile health tool’s will allow physiotherapists access to a readily flow of real world information. Self-assessment of daily activity by patients own assessment can be variable and subjective, however with the addition of the use of an automatic monitoring system it can provide an objective measure for patient monitoring (Godfrey et al. 2007). As a result physiotherapists will be able to design more clinically meaningful interventions, through minute by minute evaluation of quality of exercise for risk factor management as well as exercise compliance, while also providing feedback at home which may motivate and enhance self management of patients. How can you as a physiotherapist become more proactive towards integrating technology into your practice? During a clinical appointment the physiotherapist could find out, from there patient, if they use a health app or device. 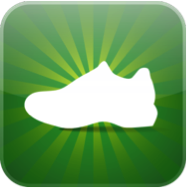 Learn about this app/ tracking device and familiarize yourself with the features/ benefits and limitations. After a few months, once you have built up a repertoire of useful information about various app’s/ device start to recommend app’s/devices to patients currently not using app’s /devices. Make sure the app chosen is specific to the needs of that individual. Find out patients attitudes towards the app after continued use- May potentially choose to evaluate the data from their app/device during an appointment. Engage in interaction with other physiotherapists regarding app’s they recommend to patients etc. Review apps with other physiotherapists to ensure they are safe, accurate and appropriate for patients. Become an active user of technology to monitor/manage your own health- ‘Practice what you preach’. With the quantified self/wearable technology market growing momentum, the extremely low levels of physical activity and with the lack of resources available to Physiotherapists to assist with real tangible behaviour change; this is a hugely relevant area of potential research. Recently there has been a growing focus on preventative approaches towards increasing levels of chronic disease. Physiotherapists are considered to be in an ideal position to help with this mission during their consultations, however little training and/or resources are provided to enable them to do this in an effective way . Current literature states that there is a need for more intensive theory-based interventions that incorporate multiple behaviour change techniques. Online tools such as Human OS, which incorporate multiple behaviour change techniques capable of supporting the daily health practice of its users in the long term through the use of quantified self, could prove very beneficial to Physiotherapists. In an age where NMSK conditions linked to physical inactivity are significantly increasing, Physiotherapists will be increasingly expected to assume the role of a health coach. This page was designed to illustrate the problem at hand but more importantly the potential way forward . The recent CSP Physiotherapy Conference 2014 delegates were asked: "Are physiotherapists the exercise specialists of choice for people with long-term conditions?" With the response being a resounding yes. Physiotherapist were described as being ideal in solving the dilemma of lack of adherence to exercise programmes. Important to note is that effective intervention methods aren’t ensured by the simple adoption of mobile or wearable technologies, but must be theoretically grounded, and therefore the behaviour change frameworks highlighted within this page should help guide your interventions. 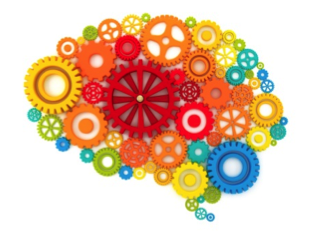 Reflect on which behavioural change model do you currently use with your patients and whether using this learning resource has adapted the approaches you will use to change patients behaviour in future practice? Make a plan on how you can become more proactive towards integrating technology to help implement behaviour change interventions. Reflect on a time where you think these self-tracking devices may have helped with monitoring of a patient. Make use of the discussion boards on the CSP website to ask other Physiotherapists or Physiotherapy students whether they employ these type of technologies to help with the treatment monitoring and planning. If you have been using these devices already within your practice, perhaps use the discussion board to inform others of how you are doing and if they have been effective. 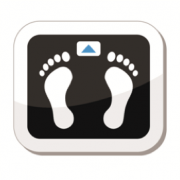 For physiotherapists and Allied Health Professionals interested in further information regarding self tracking, mobile apps and mhealth please visit the embedded links, as they provide great information regarding cost, current clinical use, and much more. 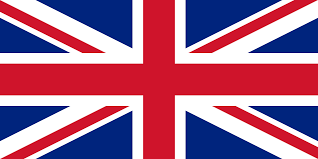 ↑ NHS HEALTH SCOTLAND. 2012. Costing the Burden of Ill Health Related to Physical Inactivity for Scotland. [online]. [viewed: 06 November 2014]. Available from: http://www.healthscotland.com/uploads/documents/20437-D1physicalinactivityscotland12final.pdf. ↑ JINGUAN, L., 2013. Improving Chronic Disease Self-Management through Social Networks. Population Health Management. 16 (5), pp. 285-287. ↑ BROWNELL, KD., 2010. The humbling experience of treating obesity: Should we persist or desist? Behaviour Research Therapy 48(8), pp. 717–719. ↑ 16.0 16.1 16.2 16.3 Cooper, S., and Ratele, K. 2014. Psychology serving humanity: Proceedings of the 30th International Congress of Psychology, Volume 2: Western psychology. ↑ 17.0 17.1 Skinner, B, F., and Holland, J, G. 1961. The analysis of behavior: A program for self-instruction. New York, US, McGraw-Hill. ↑ Prochaska, J. O., Velicer, W. F., Rossi, J. S., Goldstein, M. G., Marcus, B. H., Rakowski, W., Fiore, C., Harlow, L. L., Redding, C. A., Rosenbloom, D., Rossi, S. R. (1994). Stages of change and decisional balance for twelve problem behaviors. Health Psychology, 13, 39-46. ↑ Fjeldsoe, B., et al. 2011. Systematic review of maintenance of behavior change following physical activity and dietary interventions. Health Psychology, 30(1), pp.99-109. ↑ 28.0 28.1 HARDING, V. and WATSON, P.J., 2000. Increasing activity and improving function in chronic pain management. Physiotherapy. 86(12), pp. 619-630. ↑ SWAN, M. 2012. Sensor mania! 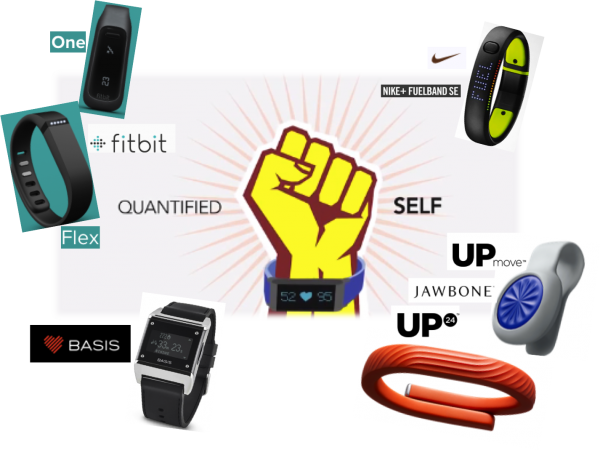 The internet of things, wearable computing, objective metrics and the quantified self. Journal of Sensor and Actuator Networks 1 (3),pp. 217-253. ↑ LORIG, KR. and HOLMAN, H. 2003. 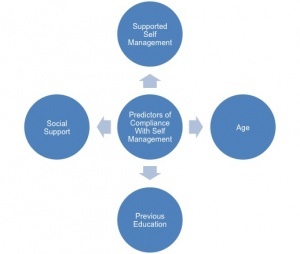 Self-management education: history, deﬁnition, outcomes, and mechanisms. Annals of Behavioural Medicine. 26 (1), pp. 1–7. ↑ CROWE, M., WHITEHEAD, L., JO GAGAN, M., BAXTER, D. and PANCKHURST, A., 2010. Self‐management and chronic low back pain: a qualitative study. Journal of Advanced Nursing. 66(7), pp. 1478-1486. ↑ COOPER, K., SMITH, B.H. and HANCOCK, E., 2009. Patients’ perceptions of self-management of chronic low back pain: evidence for enhancing patient education and support. Physiotherapy. 95(1), pp. 43-50. ↑ BOS, C., VAN DER LANS, IA., RIJNSOEVER, FJ., VAN TRIJP, HC., 2013. Understanding consumer acceptance of intervention strategies for healthy food choices: a qualitative study. BMC Public Health 13: 1073. ↑ MASON, P. and BUTLER, C. 2010. Health Behaviour Change. 2nd ed. Churchill Livingstone. ↑ APPELBOOM, G., CAMACHO, E., ABRAHAM, M.E., BRUCE, S.S., DUMONT, E.L.P., ZACHARIA, B.E., D’ARICO, R., SLOMIAN, J., REGINSTER, J.Y., BRUYERE, O., and CONNOLLY, E.S. 2014a. Smart wearable body sensors for patient self-assessment and monitoring, Archives of Public Health, vol. 72, no. 28, pp. 1-9. ↑ 46.0 46.1 46.2 46.3 LUPTON, D. 2013a. Quantifying the body: monitoring and measuring health in the age of mhealth technologies, Critical Public Health, vol. 23, no.4, pp. 393-403. ↑ LOWE, S.A. and OLAIGHIN, G. 2014. Monitoring human health behaviour in one’s living environment: A technological review, Medical Engineering and Physics, vol. 36, pp. 147-168. ↑ 48.0 48.1 48.2 SHULL, P.B., JIRATTIGALACHOTE, W., HUNT, M.A., CUTKOSKY, M.R., and DELP, S.L. 2014. Quantified self and human movement: A review on the clinical impact of wearable sensing and feedback for gait analysis and intervention, Gait and Posture, vol. 40, pp. 11-19. ↑ APPELBOOM, G., YANG, A.H., CHRISTOPHE, B.R., BRUCE, E.M., SLOMIAN, J., BRUYERE, O., BRUCE, S.S., ZACHARIA, B.E., REGINSTER, J.Y., and CONNOLLY, E.S. 2014b. The promise of wearable activity sensors to define patient recovery, Journal of Clinical Neuroscience, vol. 21, pp. 1089-1093. ↑ VOURI, I.M., LAVIE, C.J., and BLAIR, S.N. 2013. Physical activity promotion in the health care system, Mayo Clin Proc, vol. 88, no. 12, pp. 1446-1461. ↑ 51.0 51.1 51.2 DOBKIN, B.H., and DORSCH, A. 2011. The promise of mhealth: Daily activity monitoring and outcome assessment, Neurorehabil Neural Repair, vol. 25, no. 788, pp. 1-12. ↑ 52.0 52.1 APPELBOOM, G., SUSSMAN, E.S., RAPHAEL, P., JULLIERE, Y., REGINSTER, J.Y., and CONNOLLY, E.S. 2014c. A critical assessment of approaches to outpatient monitoring, Current Medical Research and Opinion, vol. 30, no. 7, pp. 1383-1384. ↑ HANSON, C., WEST, J., NIEGER, B., THACKERAY, R., BARNES, M, and MCINTYRE, E. 2011. Use and Acceptance of Social Media among Health Educators. American journal of health education. vol. 42, no. 4, pp. 197-204. ↑ 56.0 56.1 56.2 LEE,J-M., KIM, Y, and WELK, G,J. 2014. Validity of Consumer-Based Physical Activity Monitoring, Journal of American College of Sports Medicine, pp. 1840-1848. ↑ 57.0 57.1 57.2 57.3 LYONS, E.J., LEWIS, Z.H., MAYRSOHN, B.G., and ROWLAND, J.L. 2014. 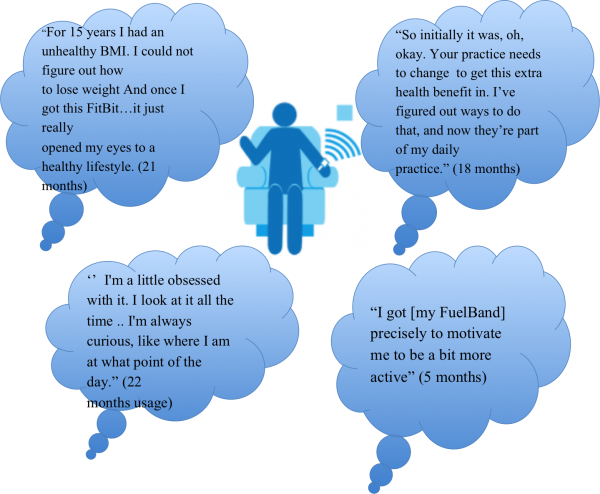 Behaviour change techniques implemented in electronic lifestyle activity monitors: a systematic content analysis, J Med Internet Res, vol. 16, no. 8, pp. 1-10. ↑ 63.0 63.1 TAKACS, J., POLLOCK, C.L., GUENTHER, J, R., BAHAR, M., NAPIER, C., and HUNT, M.A. 2014. 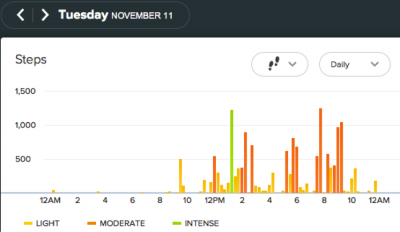 Validation of the Fitbit One activity monitor device during treadmill walking. Journal of science and medicine in sport, vol. 17, pp. 496-500. ↑ GIANNAKIDOU, D.M., KAMBAS, A., ANGELOUSSIS, N., FATOURAS, I., CHRISTOFORDIS, C., VENETSANOU, F, and TAXILDARIS, K. The validity of two Omron pedometers during treadmill walking is speed dependent. Euro journal of applied physiology. vol. 112, no. 1, pp. 49-57. ↑ RYAN, C.G., GRANT, P.M., TIGBE, W.W., and GRANAT, M.H. 2006. The validity and reliability of a novel activity monitor as a measure of walking, Br J Sports Med, vol. 40, pp. 779-784. ↑ TUDOR-LOCKE, C., CRAIG, C.L., AOYAGI, Y., BELL, R.C., CROTEAU, K.A., BOURDEAUDHUJI, I.D., EWALD, B., GARDNER, A.W., HATANO, Y., LUTES, L.D., MATSUDO, S.M., RAMIREZ-MARRERO, F.A., ROGERS, L.Q., ROWE, D.A., SCHMIDT, M.D., TULLY, M.A., and BLAIR, S.N. 2011. How many steps/day are enough? For older adults and special populations, International Journal of Behavioual Nutrition and Physical Activity, vol. 8, no. 80, pp. ↑ 67.0 67.1 APHRODITE, T., ROWE, P., FOTOULA, B., and CHARILAOS, K. 2009. Validation of the Activpal in the Health Promotion context. Health Science Journal, vol. 3, no. 2, pp. 104-114. ↑ DOWD, K.P., HARRINGTON, D.M., and DONNELLY, A.E. 2012. Criterion and Concurrent Validity of the Professional Physical Activity Monitor in Adolescent Females, PLOS One, vol. 7, no. 10, pp. 1-9. 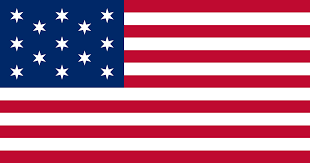 ↑ BASSET, D.R., JOHN, D., CONGER, S.A., RIDER, B.C., PASSMORE, R.M., and CLARK, J.M. 2014. Detection of lying down, sitting, standing, and stepping using two monitors, Med. Sci. Sports Exerc., vol. 46, no. 10, pp. 2025-2029. ↑ DAVIES, G., REILLY, J., MCGOWAN, A., DALL, P., GRANAT, M., and PATON, J. 2012. Validity, practical utility, and reliability of the in preschool children. Medicine and Science in Sports and Exercise, vol. 44, no. 4, pp. 761-768. ↑ 72.0 72.1 GRANT, P.M., RYAN, C.G., TIGBE, W.W., and GRANAT, M.H. 2006. The validation of a novel activity monitor in the measurement of posture and motion during everyday activities, Br J Sports Med, vol. 40, pp. 992-997. ↑ O’DONOGHUE, D., and KENNEDY, N. 2014. Validity of an activity monitor in young people with cerebral palsy gross motor function classification system level I, Physiol. Meas, vol. 35, pp. 2307-2318. ↑ 74.0 74.1 74.2 FRITZ, T., HUANG, E,M., MURPHY, G, C, and ZIMMERMANN, T. 2014. Persuasive Technology in the Real World: A Study of Long-Term Use of Activity Sensing Devices for Fitness, CHI, pp. 1-10. ↑ ESTRIN, D. and SIM, I. 2010. 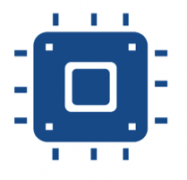 Open mHealth architecture: An engine for health care innovation, Science, vol. 330, pp. 759-760. ↑ HO, K. 2013. Health-e-Apps: A project to encourage effective use of mobile health applications, BC medical journal, vol. 55, no. 10, pp. 458. ↑ CLARKE, A. and STEELE, R. 2012. Summarized data to achieve population-wide anonymized wellness measures, Engineering in Medicine and Biology Society, pp. 2158-2161. ↑ Legris, P., et al. 2003. Why do people use information technology? A critical review of the technology acceptance model. Information and Management, 40(3), pp.191-204. ↑ RUTHERFORD, J.J. 2010. Wearable technology: Health-care solutions for a growing global population, IEEE Engineering in Medicine and Biology, vol. 10, pp. 19-24. ↑ CRAWFORD, R. 2006. Health as a Meaningful Social Practice. Health, vol. 10, no. 4, pp. 401–420. ↑ 91.0 91.1 HO, KENDALL. 2013. 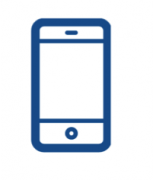 Health-e-Apps: A project to encourage effective use of mobile health applications. BC Medical Journal. vol, 55. no, 10. pp, 458-460. ↑ Pertola, A.E. 2013. Quantified Self and Mobile Health Monitoring, MSc Thesis, Technical University of Denmark. ↑ RYAN, C.G., DALL, P.M., GRANAT, M.H., and GRANT, P.M. 2011. Sitting patterns at work: objective measurement of adherence to current recommendations, Ergonomics, vol. 54, no. 6, pp. 1-22. ↑ Booth, F.W., Chakravarthy, M.V. and Spangenburg, E.E. 2002. Exercise and gene expression: physiological regulation of the human genome through physical activity. The Journal of physiology, 543 (Pt 2) Sep 1, pp.399-411. ↑ Harding, V., and Williams, A, C. 1995. Applying Psychology to Enhance Physiotherapy Outcome. Physiotherapy Theory and Practice, 11(3), pp. 129-132.